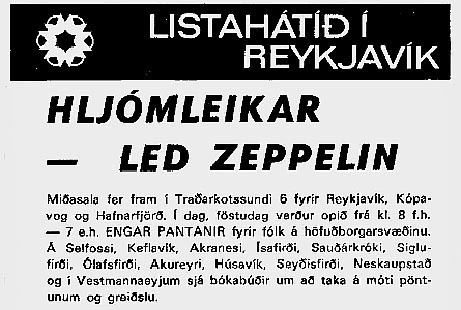 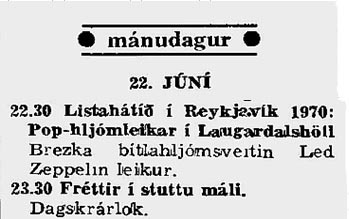 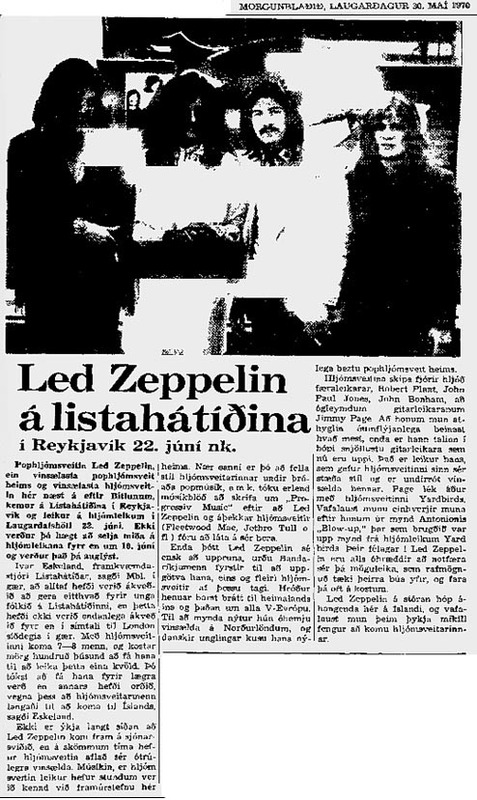 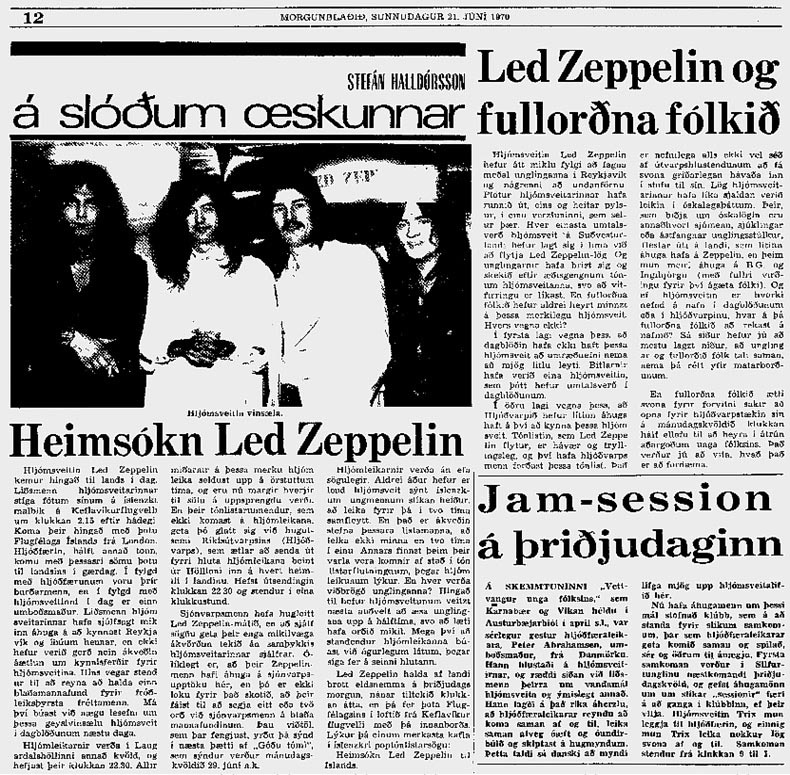 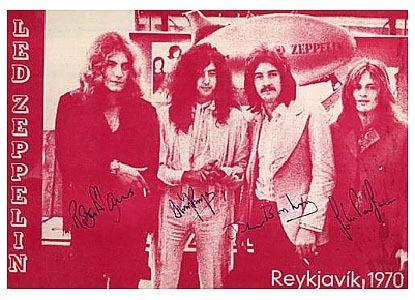 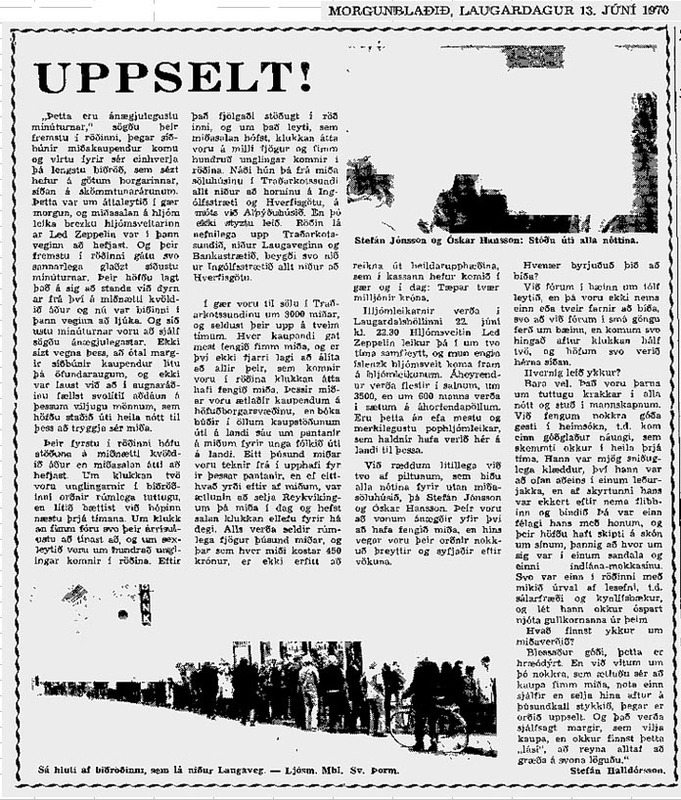 Led Zeppelin's first date in June brought them to Iceland participating in a cultural exchange program representing the UK. 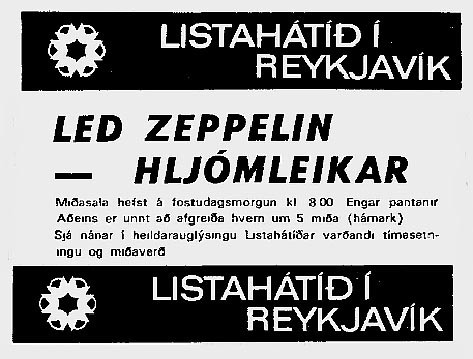 An audience of over 4,000 attended this concert, running over two hours. 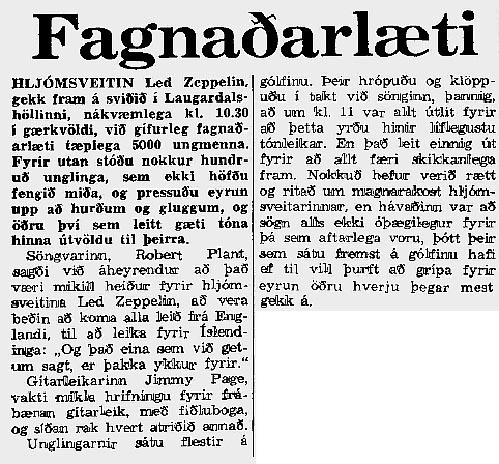 Peter Grant did not travel with them and mentions in the UK press that a film crew would document their visit. 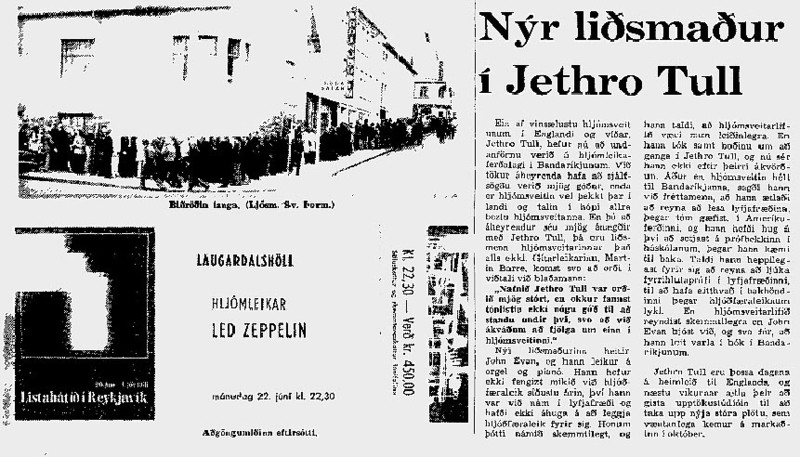 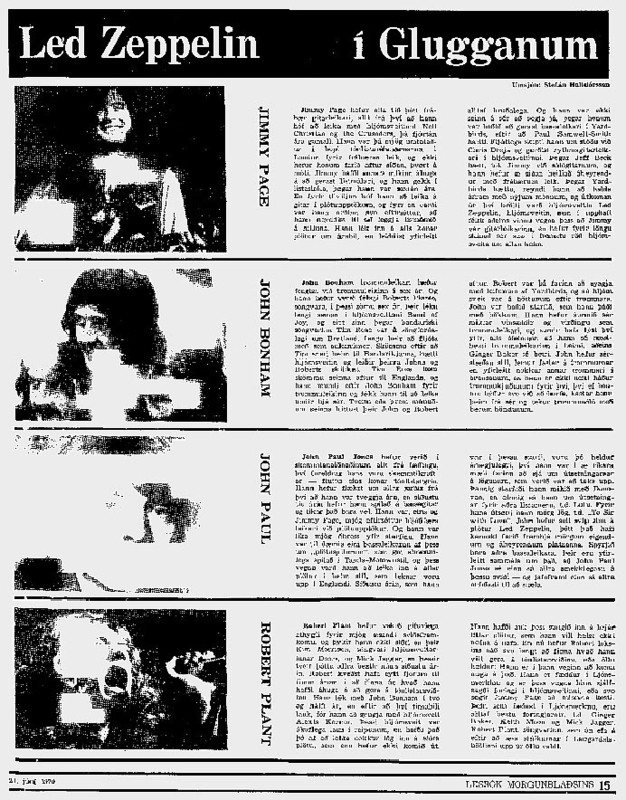 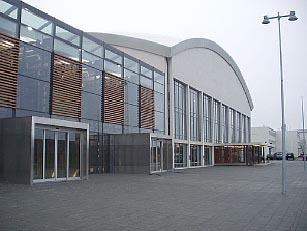 Despite this plan, only local news footage captures the group's arrival at the airport, hotel and short clip of Dazed and Confused. 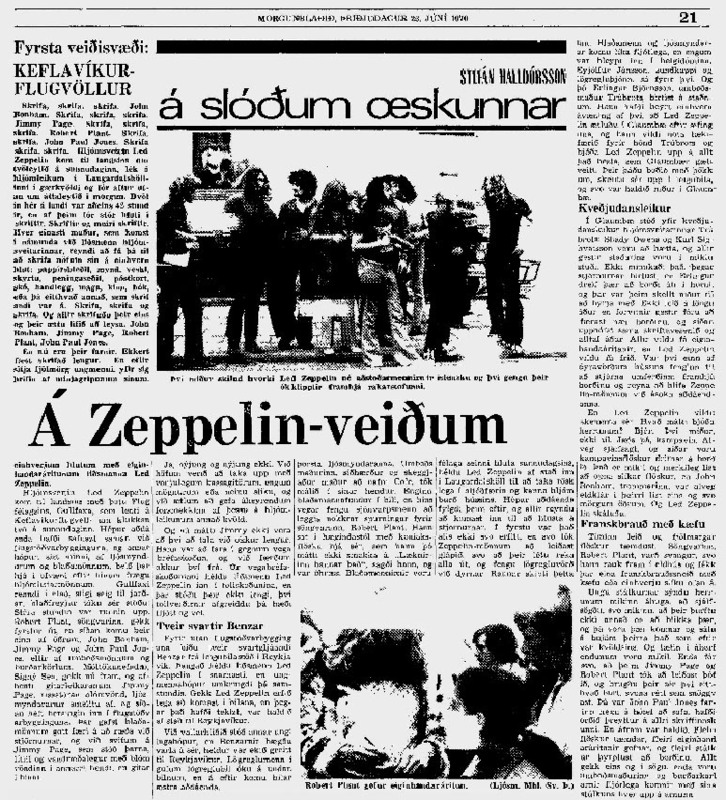 Robert Plant is also interviewed on the day of the show. 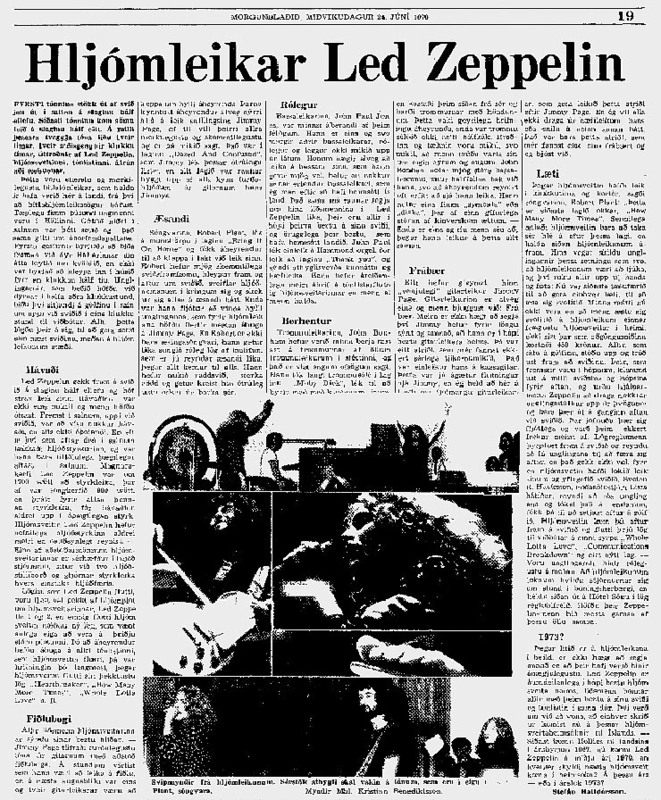 Some of this news footage is included on the 2003 official dvd.